If your next few weeks are anything like mine, you've got a full calendar of holiday parties of every variety. From the charity party to the house party, a secret santa gathering and cocktails out on the town—each requires a different (and festive) outfit. Over on Lifestyle Mirror, I created five stylish outfits that could work for any number of different parties on your RSVP list. Above, my favorite outfit of all. 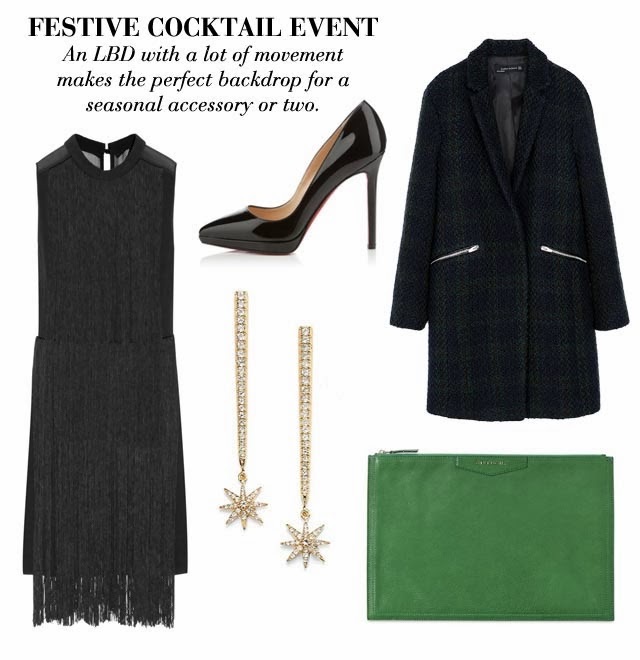 I love the swingy fringe of this By Malene Birger dress and the festive-meets-fabulous earrings from Elizabeth and James. You can shop the pieces below, plus a few more outfits, too. 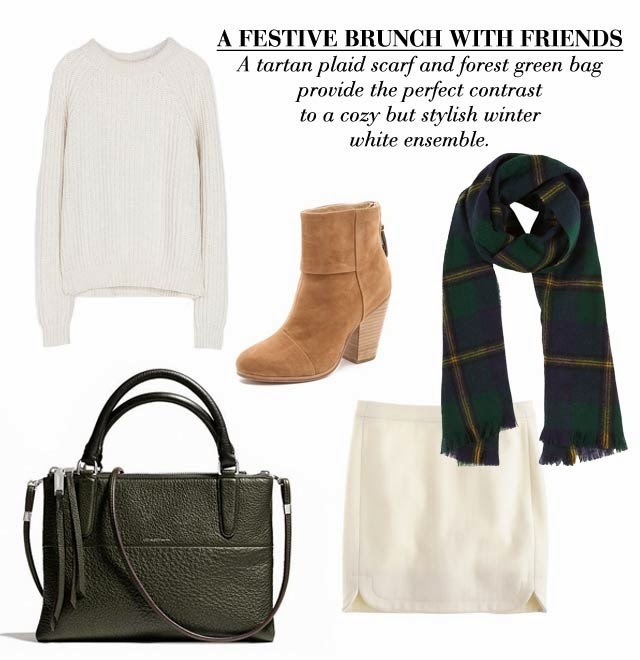 For a festive brunch with your girlfriends (or family, or anyone really!) I love finding an easy way to wear winter whites. It can be tricky, but the key is not to focus on matching, but letting the variations in texture and hue play off each other. In cream and ivory, these separates from Zara and J. Crew will go with all your winter essentials and look amazing together. The Coach 'Borough' bag in deep olive green feels seasonal now, but will work all year, as will the ubiquitous 'Newbury' booties from Rag & Bone. Browse the full story (and three more outfits!) over on Lifestyle Mirror. Love the second board! It's a really great idea for Christmas day outfit, different texture mix in one ensemble always make an "expensive" stylish look!